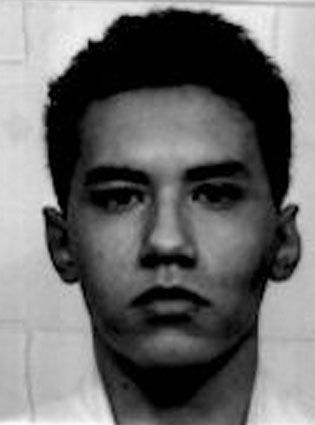 Gustavo Julian Garcia was executed on Tuesday, February 16, 2016, by the state of Texas. He was pronounced dead 6:26 pm CST, inside the Walls Unit execution chamber at the Huntsville State Penitentiary in Huntsville, Texas. Gustavo was 43 years of age. He was executed for the December 9, 2000, murder of 43-year-old Craig Turski in Plano, Texas. Gustavo spent the last 24 years of his life on Texas’ death row. On December 9, 1990, Gustavo Garcia and Christopher Vargas entered a warehouse in Plano, Texas. Garcia was armed with a sawed-off shotgun and had additional shells in his pockets. Garcia ordered the clerk, Craig Turski, to hand over the money from the cash register, while Vargas took beer and placed it into their waiting vehicle. Garcia then shot Craig in the abdomen at close range. Craig fled from the storm. Garcia pursued him while reloading his shotgun. After reloading, Garcia shot Craig in the back of the head. A female customer who had entered the store and promptly left when she saw Garcia forcing Craig to hand over the money, returned to the store with her husband. Upon finding the store deserted, they called the police. Craig was transported to a local hospital, where he eventually died from his gunshot wounds. On January 5, 1991, Garcia and Vargas robbed another gas station. They took the clerk, Gregory Martin into the back room and shot him at point blank range with the same gun that was used to shoot Craig weeks earlier. Gregory died at the scene. Upon seeing Garcia and Vargas enter the store, Gregory told his girlfriend, whom he was talking to on the phone, that he though he was going to be robbed. She altered the police, who arrived quickly at the scene. Police found Vargas standing over Gregory’s body. Vargas alleged that he had just entered the store and found Gregory lying on the floor. Garcia was found hiding in a freezer area, close to where the shotgun was later discovered. Garcia confessed to both crimes. Gustavo Garcia was sentenced to death, while Christopher Vargas was sentenced to life in prison. On Thanksgiving 1998, while on death row, Gustavo attempted, along with six other death row inmates, to escape from prison. Only one inmate made it past the prison fences. Gustavo and the others were recaptured. The escaped inmate was the first to successfully escape since a Bonnie and Clyde gang member escaped in 1934. The inmate was discovered to have drowned shortly after his escape. Please pray for peace and healing for the family of Craig and Gregory. Please pray for peace for the family of Gustavo. Please pray that if Gustavo is innocent, lacks the competency to be executed, or should not be executed for any other reason, evidence will be presented prior to his execution. Please pray that Gregory will come to find peace through a personal relationship with Jesus Christ, if he has not already.